Amin Kalaaji, MD, PhD, is clinic chief and consultant plastic surgeon at Oslo Plastic Surgery Clinic in Oslo, Norway. He has held this position for 16 years. For 10 years prior, he was a consultant plastic surgeon/vice chief and chief in the plastic surgery departments at Telemark Central Hospital and Oslo University Hospital in Norway. Dr. Kalaaji completed his surgical training in Paris, France, and Gothenburg, Sweden, where he also earned his PhD in bone grafting of cleft lip and palate. The purpose of ISPRES is to promote the art and science of regenerative plastic surgery, further programs, knowledge, education, research and development in the field of regenerative plastic surgery. 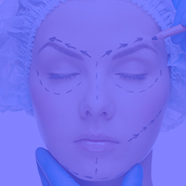 The organization also evaluates medical techniques related to regenerative plastic surgery in addition to promoting and encouraging the highest ethical standards of personal and professional conduct among plastic surgeons and other scientists with an interest in this field.